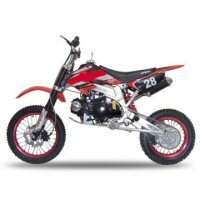 Stock parts, performance parts and after-market accessories for dirt bikes and pit bikes with the 49cc, 70cc, 90cc, 100cc, 110cc or 125cc 4-stroke "Honda style" horizontal cylinder engines. 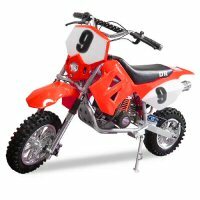 Stock parts, performance parts and after-market accessories for the Honda Style Monkey Bike, ZR50 and Honda Style Trail 50 and 70 dirt bikes. 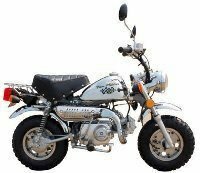 Replacement parts for Chinese 2-stroke 43cc and 49cc dirt bikes sold under various brand names such as Terminator, SunL, Roketa, APC and many more.